Stand a chance to win RM 800 with your selfie! Now you may stand a chance to win up to RM 800 CASH and voucher with your selfie! Follow the following steps and win it now! - Take a selfie at The Metallic Kitchen & Bar (Tesco Bukit Indah,JB) with your favourite food/ drinks/ spot! - #MetallicBukitIndah at your photo and check in to our page! Is just that easy! The top three selfie with the most (LOVE) emoji will be the winner of this competition! Hurry up now! What are you waiting for? 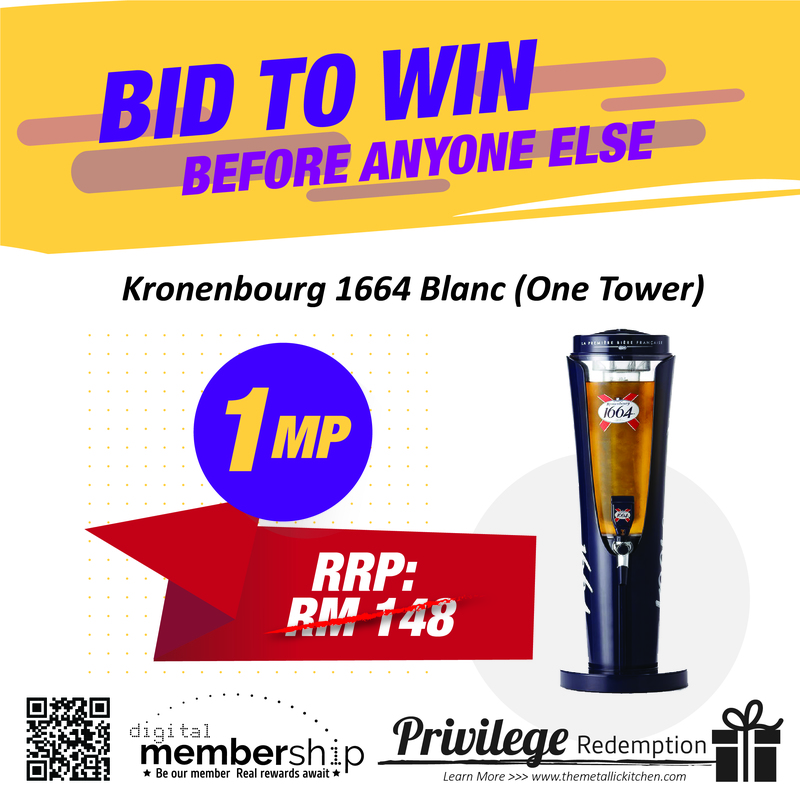 BID TO WIN IS BACK! 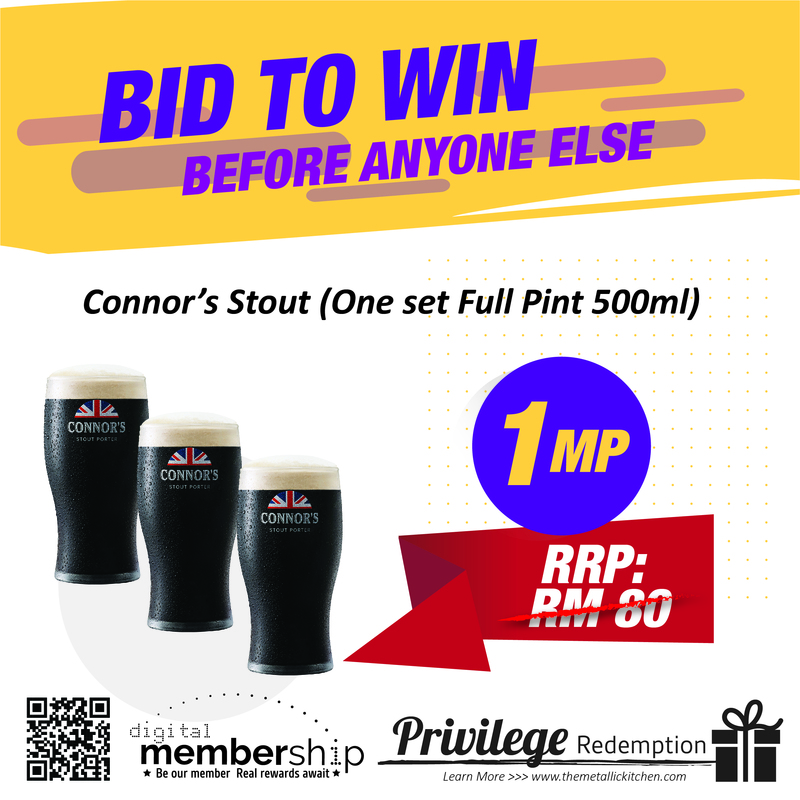 28th is just around the corner, which means.....(drum roll) - BID TO WIN is back! 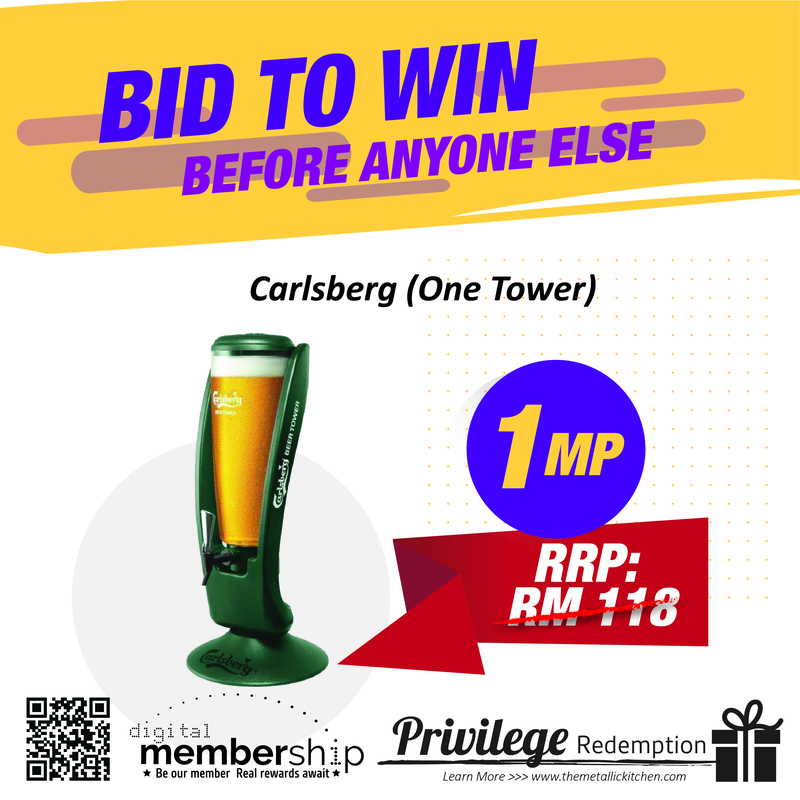 Come and bid your favourite item now with as low as 1MP! In conjunction of Mother's Day, this time our BidToWin is features three of mother's favourite item of all time! Come and bid one of those home now! Being the first of its kind in Johor Bahru. 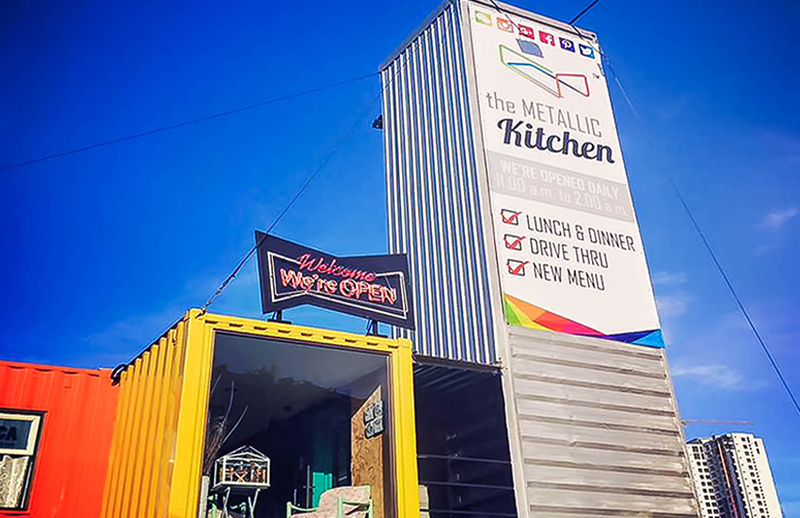 The Metallic Kitchen was set up using recycled shipping containers, instead of constructing a new structure or building, making it more environmentally friendly. 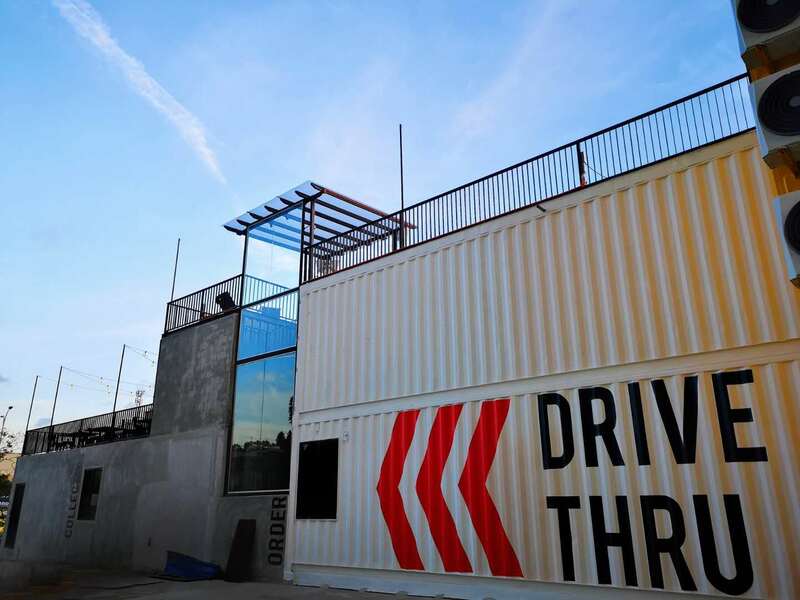 The containers were then stacked and redesigned in modernism style with colourful and vibrant colours. This unique design allows patrons to enjoy their drinks within the cosy box, providing them with a new yet different dining experience. Not only the new concept end up winning the hearts of our local community, it also attracts many people from other states. In fact, aside from the tasty drinks and ambience The Metallic Kitchen provides, people also visit for their in-house specials such as spaghetti, grilled chicken whole leg and cheesy meatballs. Far far away, behind the word mountains, there live the blind texts. What day is today? It's 28th! Which means...... It is our member day! Today we offer you sweet dessert with only RM1 PROMOTION! * Not our member yet? No worries, just swipe up and register one! It's free! What are you waiting for? Register one and grab your friend to enjoy this awesome deal! In conjuction of our Tesco Bukit Indah, Johor Bahru outlet launching, The Metallic Kitchen offer buy 1 free 1 promotion if you purchase ANY of our drinks within 28th of January until 23rd of February! Hurry up and visits us to enjoy this incredible deals! Good News! 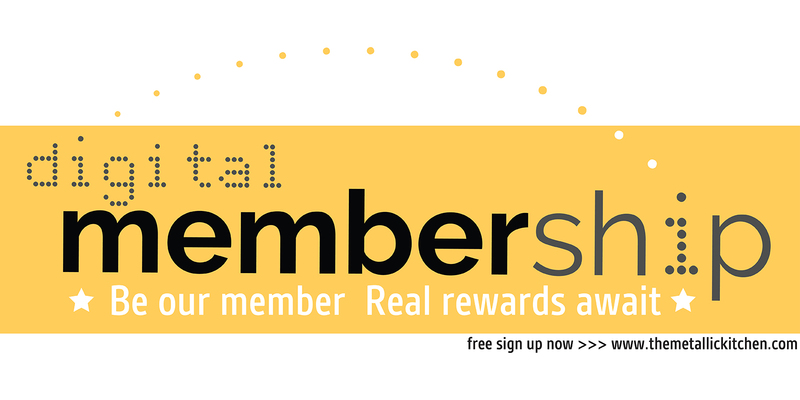 Our BRAND NEW membership system has officially launched! Great Rewards, Multiple Member Benifits, and get this, it is TOTALLY FREE! What do you waiting for? Click on the REGISTER button now and become one of us! Stay tuned for our page,there's more exciting promo waiting for you.We will be uploading the lastest news for you everyday.